List: Wearable market poised for exponential growth with top brands taking advantage of consumer interest for technology. The smart wearables segment is positioned for a 38.2% growth this year in terms of unit shipments, which are expected to reach 110m up from 72.2m in 2015. According to IDC’s "Worldwide Quarterly Wearable Device Tracker" report, the number of units shipped will shoot up to 237.1m by 2020. CBR lists 5 biggest wearable announcements of the week. Nike has unveiled its latest trainer, which can automatically tighten itself up with adaptive lacing technology. The shoes have an in-built sensor and when the wearer steps into the gear the sensor will read that and activate the lacing up function. The trainers also include two buttons on the side to allow users to adjust comfort by tightening or loosening up the garment. Tiffany Beers, senior innovator at Nike, said: "It is amazing to consider a shoe that senses what the body needs in real-time. That eliminates a multitude of distractions, including mental attrition, and thus truly benefits performance." However, despite Cristiano Ronaldos giving a try to Nike’s HyperAdapt 1.0, the sports giant has other players in the market that are also investing hard in the smart shoe field. French Digitsole took to CES last January a part of £307 Smartshoes which also do self-lacing and communicate to the owner’s smartphone via Bluetooth. The company also has a series of smart insoles available. Adidas, for example, has "1", a shoe that uses a sensors to also read the wearers needs in real-time and adjust cushioning automatically. British company HCi Viocare has also unveiled Smart Insole, and insole that connects with smart gadgets to give live monitoring status of the user’s condition. This monitoring is achieved via a network of small electronic sensors. The smartwatch market is the largest segment in the wearables space, with shipments expected to growth at a CAGR of 31% between 2016 and 2020. According to IDC, this year, 28.3m intelligent watches will find a new wrist, a number expected to grow to 82.5m in four years. Swiss fashion superbrand Fossil has unveiled plans to launch over 100 wearable devices in 40 countries for eight brands, including Chaps, Diesel, Emporio Armani, Fossil, kate spade new york, Michael Kors, Misfit and Skagen. The company said it will support the wearables with branded apps across all brands, three product categories, and two OSs. 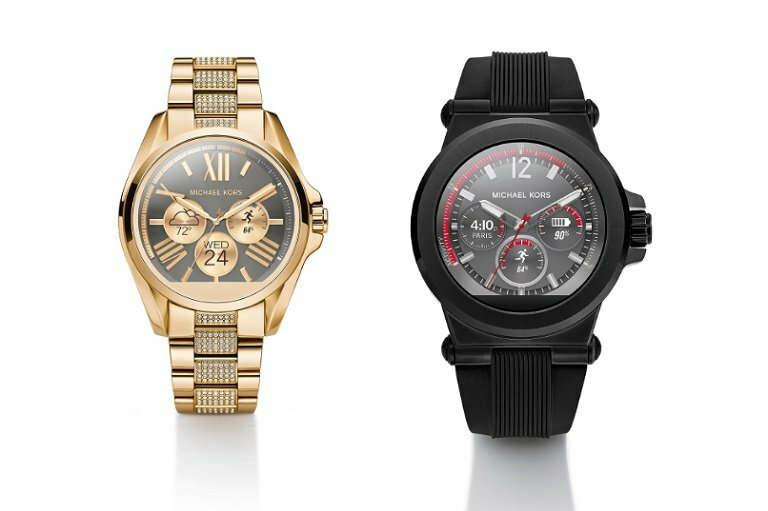 Its Michael Kors brand has this week announced its first smartwatch range running on Android Wear. The Michael Kors Access display watch will be available during Autumn 2016. The device will be compatible with Android and Apple devices and feature all the normal functions such watches offer: social media updates, different displays, fitness tracking, etc. According to the Federation of the Swiss Watch Industry, the watch sector has experienced a slowdown in revenues of 8% to £1.1bn in January 2016 when compare to the same period last year. Consulting firm Futuresource Consulting has found that smartwatches are now more common than traditional Swiss devices. Amazon has this week launched a software update for its Echo home assistant device that can now connect to Fitbit. Alexa, the voice of Echo, is now capable of reading Fitbit data and talk to users telling them how they are performing. The system can now understand voice commands, such as "Alexa, ask Fitbit how I am doing today" to which she might respond "you have taken about 4,500 steps and have been active for around 20 minutes today, just keep going". 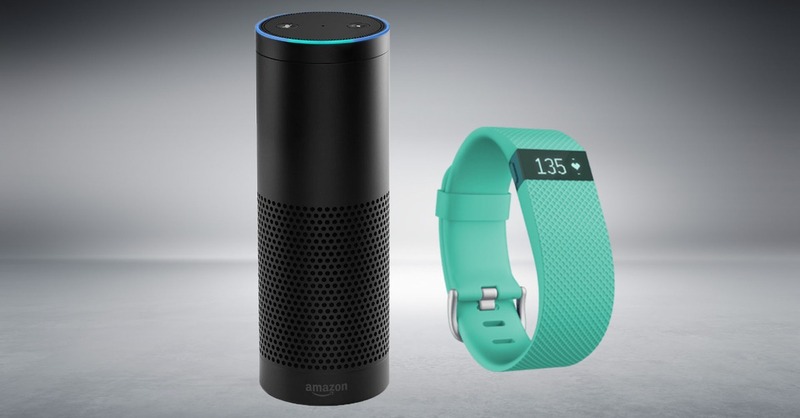 Wearable maker Fitbit has worked on 50 to 60 different responses for Alexa. The company said it will look at feedback from users and then look at further API integrations with Alexa. Recently, Amazon has also launched smaller versions of Amazon Echo, the Echo Dot and Echo Tap. Californian watch seller Nixon has also this week launched its first smartwatch aimed at action sports goers. The Mission is ultra-rugged and also runs on Android Wear with an in-built and the Qualcomm Snapdragon Wear 2100 system-on-chip (SoC). The company claims the full-round AMOLED watch is the most waterproof to date with wearers enabled to take it with them to depths of up to 100m/330ft (10-ATM). For skiers, Carv has been developed by MotionMetrics and its designed to be a real-time coach in the sloops. Through a smart insert, Carv sensors measure motion and pressure distribution in the skiing boot and relays feedback through earphones. It also connects wirelessly to smartphones to display data. It also gives feedback on techniques used while skiing, allows to compete with other users, has a freestyle tracking system and a storage system to record runs.